"In the quiet of the forest, the darkest fears are born." Sally thought she'd found her happily ever after when she finally moves with her boyfriend, David McCavendish,back to his ancestral home of Dunballan, a remote town in the Scottish Highlands. She struggles to adapt to country life after spending many years in London. Once more she is the outsider, everyone is guarding a secret, even David, the family curse of the McCavendish clan. The curse soon takes hold of David and Sally must work with ancient primitive magic to save the man she loves. This is yet another great book from Crystal Lake Publishing who are building up quite a reputation as publishers of great horror fiction. I've read many of their titles fiction and non-fiction and they're all brilliant. What really stood out for me straight away was how original the book was, for a novella it really packs a punch. There's some pretty deep questions raised in here which will leave you unsettled long after you have finished reading this book. What lies beyond our world? Is there a part of us that is immortal? Where do we go when we die? raftian horror and they all mix perfectly to produce something very original. There's also an element of a detective story where Sally rummages around in the ancient library of the McCavendish family seeking out old journals of the occult. 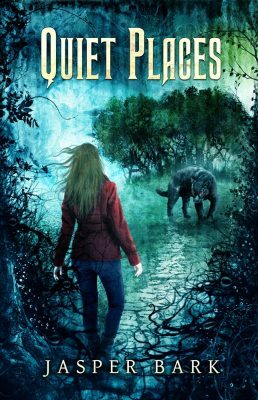 If like me, you love ancient folklore, H.P Lovecraft and being scared then you'll love Quiet Places! The story itself is told in a really imaginative way where we are presented with a horrendous situation and are then taken back further and further through time to figure out what happened. I found Sally really relatable, an outsider who's never felt accepted anywhere or by anyone apart from David. He is her true home which is why she will stop at nothing to save him by lifting the family curse. When a strange beast starts lurking around their remote cottage Sally knows she has to step up and fight back for the sake of David. She must discover the family curse that David for some unknown reason is so desperate to keep from her. He's been distant and she hopes that by helping to free him it will bring them closer together. I really love the imagination that has gone into this book, it is a really unconventional book. I don't want to give away the plot but it doesn't end in the way I thought it would and the outcome is truly macabre. I loved it! Quiet Places by Jasper Bark from Crystal Lake Publishing is out 29th September!!!!! Jasper Bark finds writing author biographies and talking about himself in the third person faintly embarrassing. 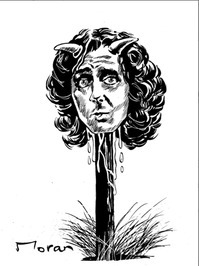 Telling you that he’s an award winning author of four cult novels including the highly acclaimed ‘Way of the Barefoot Zombie’, just sounds like boasting. Then he has to mention that he’s written 12 children’s books and hundreds of comics and graphic novels and he wants to just curl up. He cringes when he has to reveal that his work has been translated into nine different languages and is used in schools throughout the UK to help improve literacy, or that he was awarded the This Is Horror Award for his last anthology ‘Dead Air’. Maybe he’s too British, or maybe he just needs a good enema, but he’s glad this bio is now over.